If you’re like most parents, you probably spend enormous amounts of time and energy teaching about the importance of being responsible. You encourage it, you explain why it’s important, and you remind your child again and again why he should do the things he’s supposed to do. You complain, nag and lecture, but to no avail. 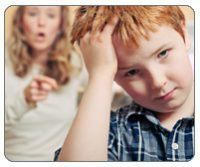 It probably seems like you’re talking to a brick wall, because your kid still won’t clean his room, empty the dishwasher, complete his homework or apologize to his little brother unless you threaten and punish. 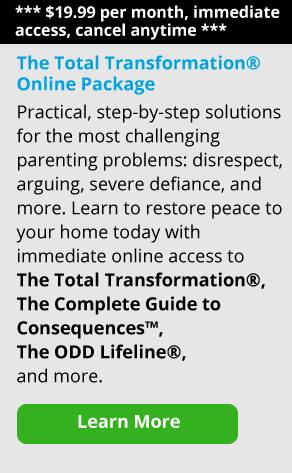 Instead of learning responsibility, your child is learning how to function in reaction to you. Why is this such a hard lesson to teach—and why does learning to be responsible seem so hard for kids? It’s not because your child is hard-headed or a spoiled brat, or because you haven’t been trying to teach him about it. Here’s the hard pill to swallow: if your child is continually irresponsible, it could mean that you aren’t taking responsibility for your own behavior. You’re probably saying, “That’s absurd. I certainly do take responsibility for my own behavior.” And I believe you. If I had to take a guess, you’ve probably been extremely vigilant about trying to convince your child that he should be more responsible. It might even define your relationship together—and you’re probably ready to tear your hair out over it. So what does this have to do with you not accepting responsibility for your own behavior? When you move your focus off of your child and onto yourself by taking responsibility for how you will act, your child will likely learn to be more accountable for his behavior. Think of it this way: If you jump into his box and tell him what to do and how to act, how responsible for himself can he become? The two of you have effectively become entangled. Instead, stay in your own box, maintain your boundaries and take responsibility for yourself. Here’s an example. Let’s say your adult son always shows up at the last minute and expects dinner to be waiting for him. When he arrives, you start lecturing him about how he should call ahead, while you’re scurrying around getting food on the table for him. You continue to criticize him for his inconsiderate attitude while waiting on him hand and foot. Trust me, this will not teach him anything about being more thoughtful in the future. In fact, you’ve probably motivated him to come as late as possible next time to avoid criticism and stress. A better way to handle it is to tell him if he doesn’t let you know he’s coming home for dinner by four p.m., you won’t be able to make anything for him—and then stick to your word. The key is that you’re taking responsibility for what you will and won’t do here and letting him deal with the natural consequences. No lectures, no preaching, no criticizing, no personalizing. Respect his ability to make choices, even if you don’t agree with them. (Not letting you know he’s coming home for dinner.) Respond to those choices from your own best and most responsible thinking and actions. (Set a limit and stick to it. If he doesn’t call by the time you’ve stated, you won’t make him dinner.) Even though it may feel uncomfortable, taking responsibility for yourself will likely earn his respect. The goal isn’t to change him—you can’t. The goal is to become a strong, clear individual who he respects and who is inspiring. Here are four needed steps to get away from lecturing, nagging and punishing that will help you move toward having more responsible kids. 1. Put the lecture on “pause.” When you’re worried about your child’s irresponsibility and you’re about to lecture and preach, stop for a moment and breathe. The moment between your child’s action and your response is your most important parenting moment. It is in this space that you can choose to respond from a knee-jerk reaction or from a more thoughtful place. The knee-jerk response often calms you down momentarily, but it’s the start to becoming a nag. When you pause and think about the bigger picture, you can make a better choice: the choice to stay out of your child’s box and to remain emotionally separate. Although it doesn’t feel as good—you’re not scratching that reactionary itch—you know that it can lead to a more responsible parent- child relationship. Without the pause, it’s easy to let your emotions lead you astray. Let’s say you wanted your 16-year-old son to get a part-time job last summer. He kept saying he was looking, but never put applications in anywhere and ended up sitting around the house. Now that the school year has started, he’s not getting his work done, and when he does, he somehow forgets to hand it in to the teacher. And what’s worse, the angrier you get, the more detached and flat he gets. First, stop and ask yourself, “Is there any way I might be contributing to my child’s irresponsibility? Have I set myself up to be the nag, or am I over-functioning for him?” You’re taking the obligation off of him because you’re serving as a constant reminder about what he should be doing. This gets in the way of your child being able to hear his own voice. Now, instead of learning responsibility, he’s learning to function in reaction to you. I think it’s more effective to determine what your bottom line is, and then give consequences when your child doesn’t do his job. Always go back to, “What’s my responsibility here, and what’s my child’s?” The consequence in the case listed above might be that your child has to do his school work in the living room and not in his bedroom, or that he can’t watch TV until his homework is done for the evening. 3. What does my child need? Understand that kids with ADHD, ADD or other learning disabilities may need a different kind of guidance from parents. Perhaps they often forget homework at school or neglect to hand it in, even when they’ve done it. If this is the situation in your family, your job is to help your child create a structure for himself. You will likely have to stay more involved and check in more often. Another thing to ask yourself is, “What does this child need?” Not, “What do my kids need,” but “What does this particular kid need?” And then determine what your responsibilities are and aren’t. It might be that you have to help your child design a chart to keep track of what he has to do. But he should then be in charge of putting a check next to those things when they get done. 4. Know when you’re in your child’s box. Most of the time we’re not necessarily aware that we have crossed boundaries. There are usually signs that you have stepped into your child’s box. It might be when you’re feeling frazzled, at the end of your rope, and frustrated. On the other hand, when you feel calm and engaged in your own interests, that may indicate that you’re in your own box. Know what the triggers are that cause you to jump from your box to his. Try to increase your awareness of yourself. Most of us think we’re teaching our kids responsibility. But truth be told, we’re really preaching it. And guess what? This only creates more dependency. Dependency in relationships doesn’t encourage kids to be responsible for themselves—quite the opposite, in fact. The more you act in ways that respect your own values and principles, the more you will promote the necessary emotional separateness between yourself and your child. Why is this important? The more emotionally separate you are, the freer your child is to see you more clearly, with all your strengths and weaknesses—which allows him to see himself more clearly. You’re no longer in his box or in his head, telling him what to do all the time. And the more clearly or objectively your child sees himself and others and acts on that awareness, the more responsible for himself he can become.